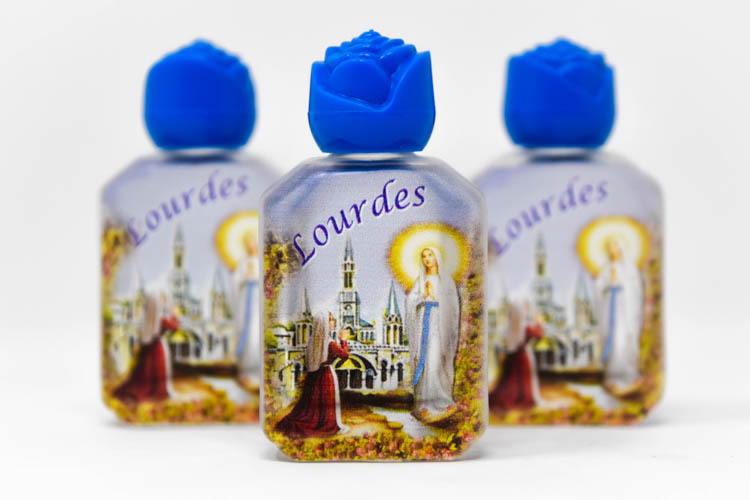 CATHOLIC GIFT SHOP LTD - 3 Blue Rose Top Bottles of Lourdes Holy Water. 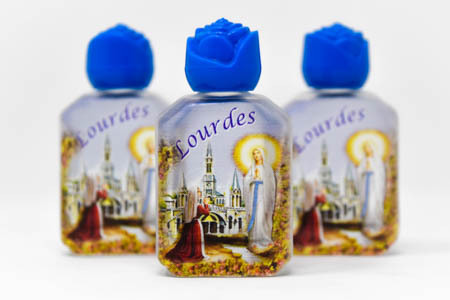 3 Blue Rose Top Bottles of Lourdes Holy Water. 3 Lourdes water bottles filled with Lourdes water with blue rose top caps. These bottles are filled from the spring from the grotto in Lourdes.